During your stay in Sofia, you should find the time to do trekking in the nearby Vitosha mountain. I can offer you full private guidance around this veritable treasure, an enormous park where not only weekend trekking but also short treks, several hours long, are memorable. What to expect from me?? I can arrange your transportation, in compliance with your choice of time and kind of transport. I can also arrange your accommodation, so that you can wake up to freshness and bird songs in the heart of Vitosha. Take advantage of my expertise and knowledge of Vitosha, and do memorable trekking. 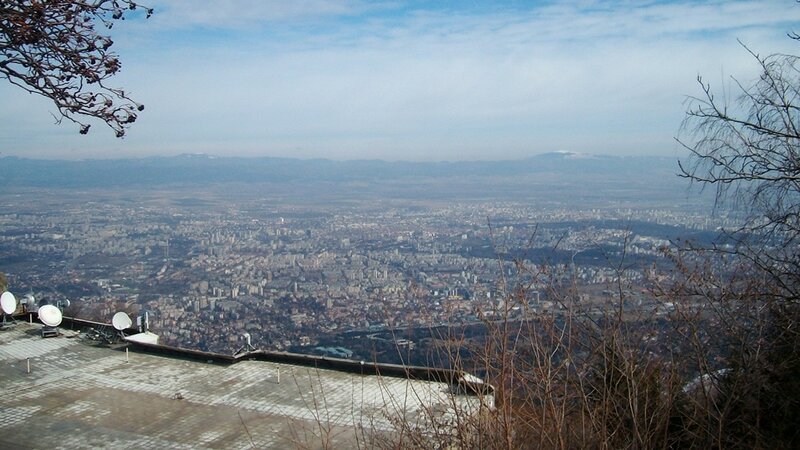 Vitosha is near the Bulgarian capital -Sofia, but it boasts a plethora of spots I can show you. If you want to discover the are by yourself I can also organize a self guided hiking tours, according to your preferences. Both in summer and in winter Vitosha lures with greenery, with its unique formations made up of boulders, and with its chalets dotting the spaces where tourists mostly pass. Start planning your hiking trip, now! Talk to me and I will create the best hiking trip near Sofia, built around your interests. The treks up towards the higher slopes of Vitosha can start from any region of the capital, or from any of the villages at the mountain foot. We can start from Boyana or Knyazhevo, from Dragalevtsi or from Simeonovo. If you like the pleasure of riding in a gondola lift, Knyazhevo is the choice. Naturally, if we trek from the plains up without using any facilities, we will enjoy a host of exercise. The final destination is of course the peak, Cherni Vruh, rising at 2,290 meters. But Vitosha also boasts nine more peaks, all of them rising to over 2,000 meters. Cherni Vruh is notable owing to the meteo station located there, but there is also a café where we can take a break before continuing the trek. The universally preferred Bistrishko Branishte reserve, as well as the Zlatni Mostove (Golden Bridges) locality are worth enjoying. There, the coniferous trees abound and offer pleasant shelter and verdant backdrop. Combining the trek to Cherni Vruh with a visit to the Zlatni Mostove is a great choice. From the latter there are two paths leading to the peak. Bistrishko Branishte is notable as an area included in the UNESCO biosphere program. There are peculiar stone formations, resembling rivers of stones. Yet another destination for trekking is Torfeno Branishte. The locality abounds in shrubby vegetation, as well as in moss. It is a reserve which preserves the turf areas in the high areas of the Vitosha mountain. The turf formations are over 2,000 years old, and their thickness reaches 2 meters in places. Trekking in Vitosha is memorable and rewarding owing to the abundance of flora which adds variety, not only mosses and lichens, but also coniferous trees: pines, spruce, firs, also deciduous trees: beeches, birches, aspens.